Brian was born in the St. Louis area and has lived throughout the St. Louis area all of his life. He lives here with his wife, his children, and his dogs Sammie and Callie. Brian is a graduate of the University of Missouri at Columbia and the St. Louis University School of Law. Brian serves individual and business clients in a variety of legal matters, especially in the areas of estate planning, asset protection planning, Medicaid planning, VA benefits, and elder law. He has assisted in the prosecution of hundreds of claims for government benefits, including veterans pension and Medicaid claims, on behalf of his clients. He has also assisted in training other attorneys throughout the United States in doing the same. Brian is a member of the Missouri Bar, the Illinois State Bar Association, the United States Court of Appeals for Veterans Claims, the United States Court of Appeals for the Federal Circuit, and the Bar of the United States District Court, Eastern District of Missouri. He is accredited through the United States Department of Veterans Affairs to assist in the preparation, presentation, and prosecution of claims for veterans benefits before their agency. Brian was named a “Rising Star” in the Missouri/Kansas region by the Super Lawyers Magazine for the years 2014, 2015, and 2016. Brian has held multiple positions with the Missouri Chapter of the National Academy of Elder Law Attorney (MO NAELA) and the Bar Association of Metropolitan St. Louis’ (BAMSL) Young Lawyer’s Division. He is a member of the Board of Directors for the MO NAELA chapter. His dedication to community outreach has earned him BAMSL’s Award of Merit. 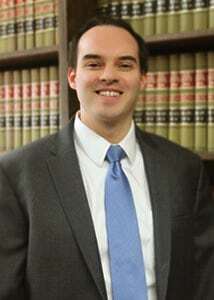 Brian is also a member of the National Academy of Elder Law Attorneys and ElderCareAdvisors. Brian is past President of the High Octane Chapter of Business Network International and an Eagle Scout with the Boy Scouts of America. Brian is a frequent lecturer on the areas of estate planning, asset protection planning, Medicaid planning, VA benefits, and elder law. Katie received her Juris Doctor from Saint Louis University School of Law, where she also earned a Certificate in Health Law. 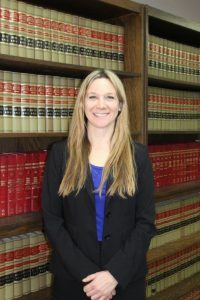 She is a member of the Missouri Bar and the Missouri Chapter of the National Academy of Elder Law Attorneys. Katie focuses her practice area on estate planning, special needs planning, Medicaid benefits, and VA benefits. Katie has a passion for advocacy and enthusiasm for working with the aging population. Prior to becoming an attorney, she was an occupational therapist and worked with adults and children with disabilities. She earned her Bachelor’s degree in Occupational Therapy from St. Catherine University in 1999 and was valedictorian of her class. In addition, Katie volunteered with hospice patients for four years prior to attending law school. Katie grew up in Minnesota but has lived in the St. Louis area since 2008. She is the proud mother of four children. Bachelor of Science in Occupational Therapy from St. Catherine University in 1999. Juris Doctor from Saint Louis University School of Law in 2018. Greg Quinn is Of Counsel to Quinn Estate & Elder Law and currently serves as the Director of Revenue for St. Louis County, Missouri. Greg Quinn received a Bachelor of Arts degree in Economics from Michigan State University in 1972. He graduated with high honors and was a member of the Honors College. He received a Juris Doctor from the School of Law at Washington University in 1975. While in law school, he was an editor for the Urban Law Annual. 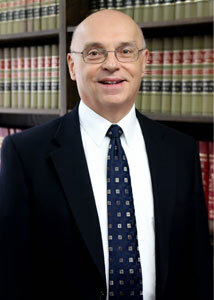 Greg has practiced law since 1975 when he received his license to practice law in Missouri. He received an Illinois license in 1976. He is experienced in the areas of elder law, estate planning and probate, business transactions, workers’ compensation and personal injury law. Greg is married and has three sons. He has coached several youth sports teams and is an adult leader in Boy Scouts. Greg was elected to the St. Louis County Council in 1991 where he served as the representative for the seventh district for over twenty-four years before retiring from the County Council at the end of 2014. Bachelor of Arts in Economics from Michigan State University in 1972. Juris Doctor from the School of Law at Washington University in 1975.